Recliner chairs, a staple of (US) American households, are a veritable wonder when it comes to forms and function. The chair, which has its origins in a medical environment of all things, is the gold standard when it comes to relaxation for many people. And for a good reason! With built-in massage systems, hidden compartments for remote-controls or magazines, extra wide arm-rests, additional cup-holders or dinner-trays, these chairs are a veritable universe in and of themselves. A basic model, that comes with a comfortably reclined, often times sprung, seat and a matching footstool. And the jack-of-all-trades model that comes with a recline-able back, a foot-part that can be elevated, and a myriad of add-on possibilities. Both versions are equally comfortable, and it’s your personal requirements and tastes that will ultimately end up being the decisive factor when it comes to which type you will want to choose. We have collected a variety of the best of both recliner typed for under $200 for you, in order to help you kick back and relax as soon as possible! 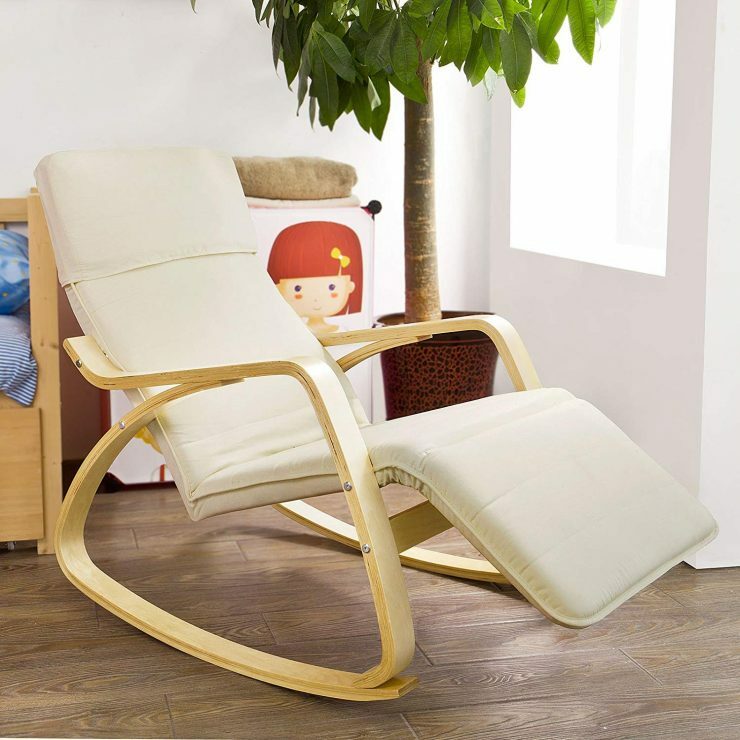 This beautifully minimalist recliner by Haotian is a wonder when it comes to comfort. It comes with rocking chair legs, giving you the added bonus of a soothing back-and-forth rock should you like it, and the incorporated foot rest can be turned up and down to suit your individual needs in any situation. 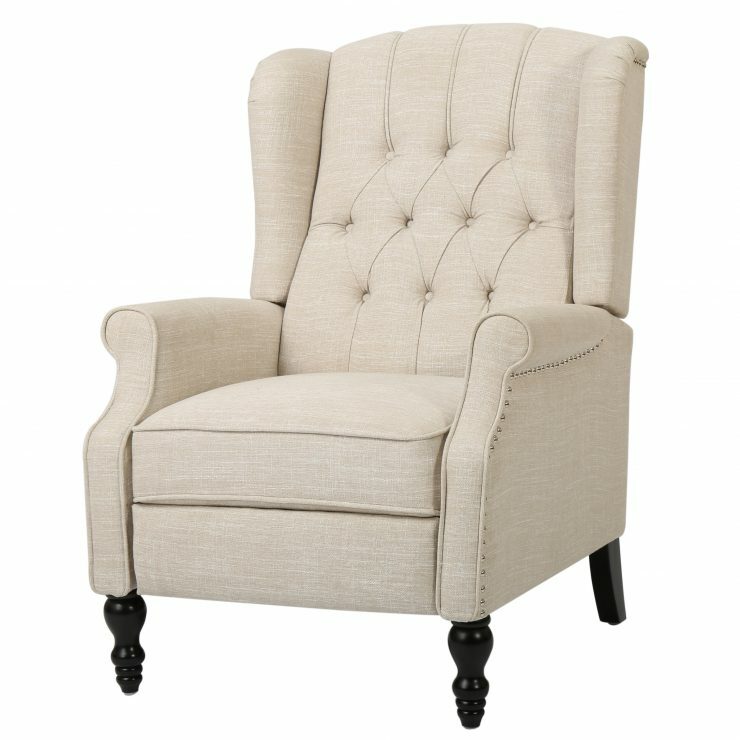 The rocking chair recliner is a wonderful choice for both your living-room, as well as for your nursery! Flash Furniture’s beautiful leather recliner is an unbelievably comfortable addition to your living-room or office. The knob-adjustable recliner is made out of eco-friendly materials and convinces with its handy swivel seat and the comfortably padded arms. The manual swivel recliner by Winston Porter is a wonderful ergonomically designed recliner and comes with a matching ottoman. 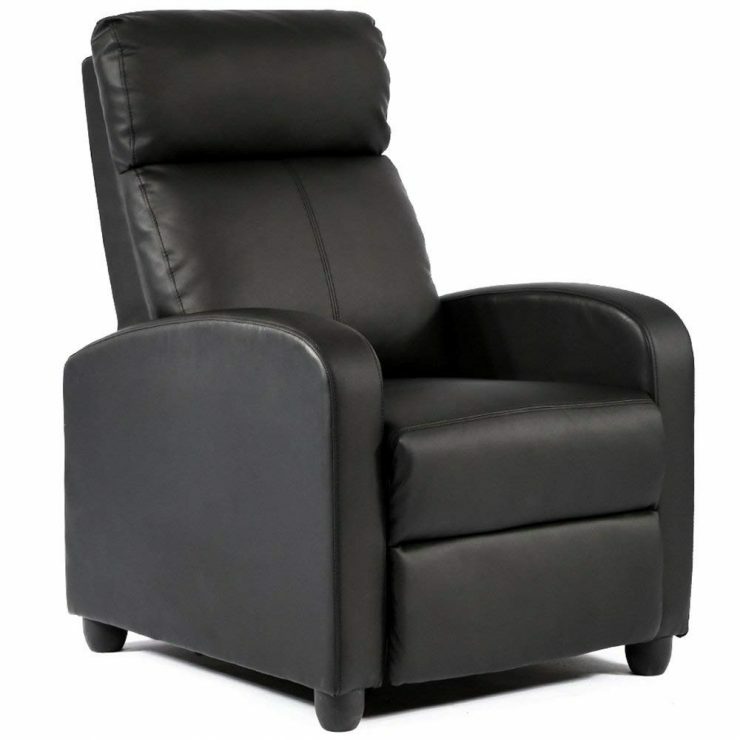 The brown faux-leather covers give the recliner a very professional and timeless look. 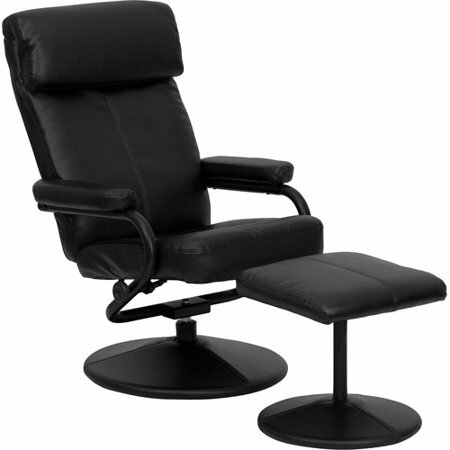 Combined with the 360° swivel seat and a backrest that’s easy to fix in multiple positions, this recliner does wonderfully in an office as well as in living spaces. 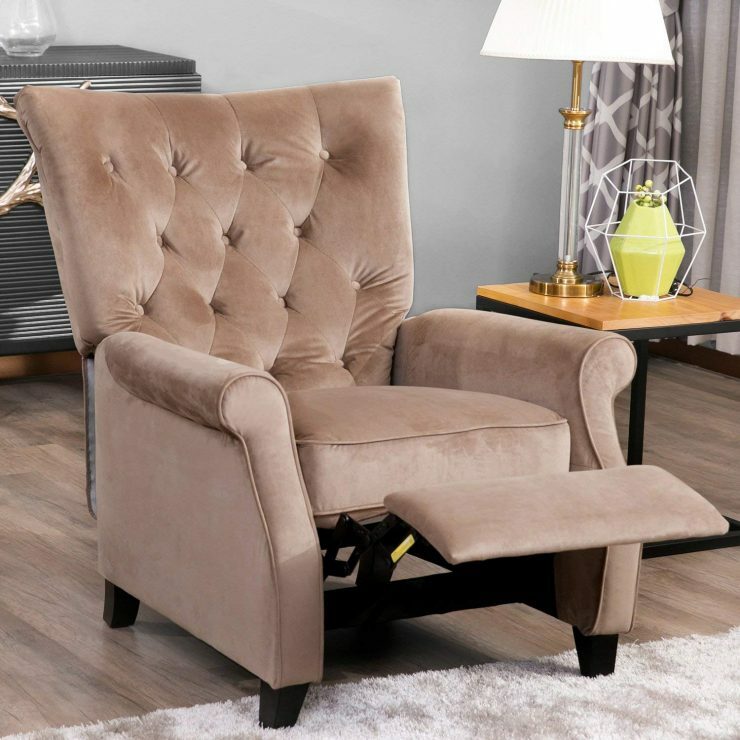 Harper&Bright’s recliner armchair is a lovely piece of furniture that will make your living-room feel more homely and relaxing in an instant. With its easy push-back control this recliner is particularly well-suited for people who don’t want yet another “gadget” that comes with a complicated remote in their home. Simply tip back as much as you want, and enjoy! The Rosia recliner by ACME is just as soft and comfortable as it looks! 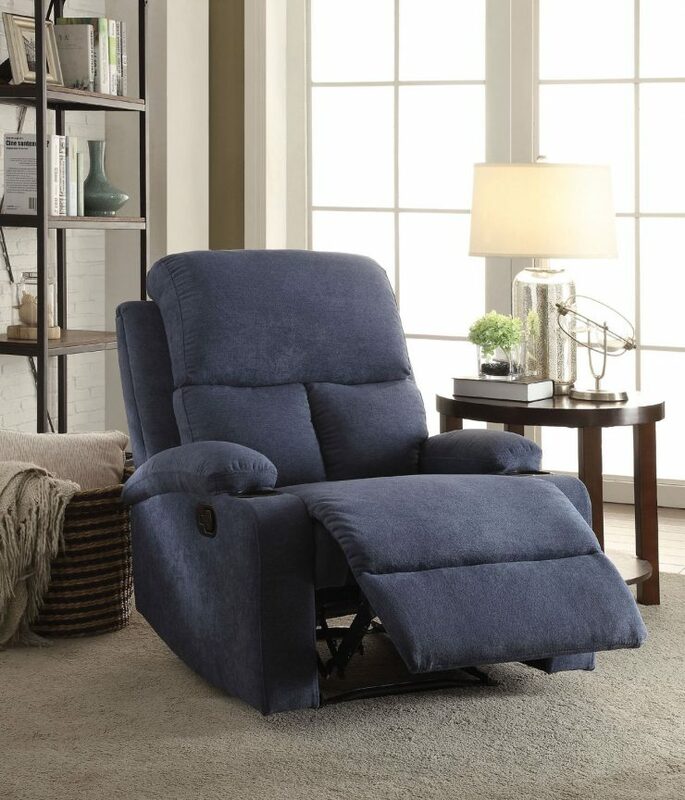 With its beautiful blue linen upholstery and a reclining mechanic, as well as a handy cup-holder in the padded arm-rest, this recliner will become the most coveted spot in your home. The Rosia is perfect for binge-watching your favourite show, getting lost in a great book, or just happily snoozing away a long Sunday afternoon. 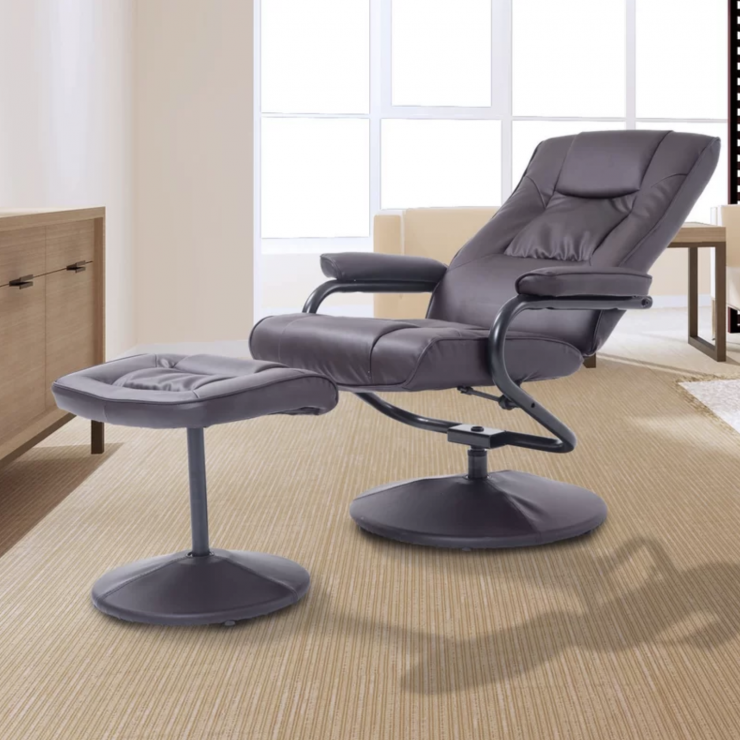 When it comes to kicking back and letting the stress of the day simply melt away, there’s hardly anything that can top the wonderful massage reclining chair by Merax. This recliner comes with a whopping eight powerful vibration massage motors, four custom zone settings, five intensity levels, nine massage modes and additional lumbar heat. Just push the button on the remote and heavenly relaxation is waiting for you! Gymax’s leather lounger recliner is the perfect companion for your very own home theatre. With its incredibly comfortable cushions, this recliner allows you to stretch out and enjoy the movies and serials of your choice in style and absolute relaxation. A heavy-duty steel frame guarantees longevity, detachable head- and food-covers allow for easy cleaning, and the lever-operated reclining feature is very easy to handle. The beautiful modern leather recliner by BestMassage fits easily into nearly every living-room design. 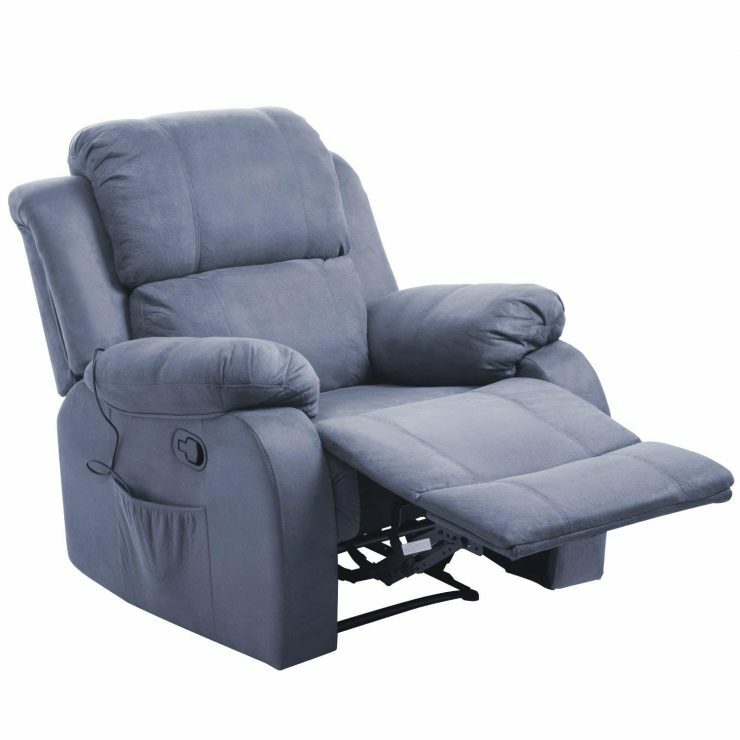 The push-back recliner comes with an adjustable footrest, wide and curved armrests, a generously sized seat cushion and a thick recliner back. Despite its bonded leather cover, the seat is waterproof and easy to clean, making it perfect for families. The beautiful old-fashioned recliner by Meyer is a gem to behold. 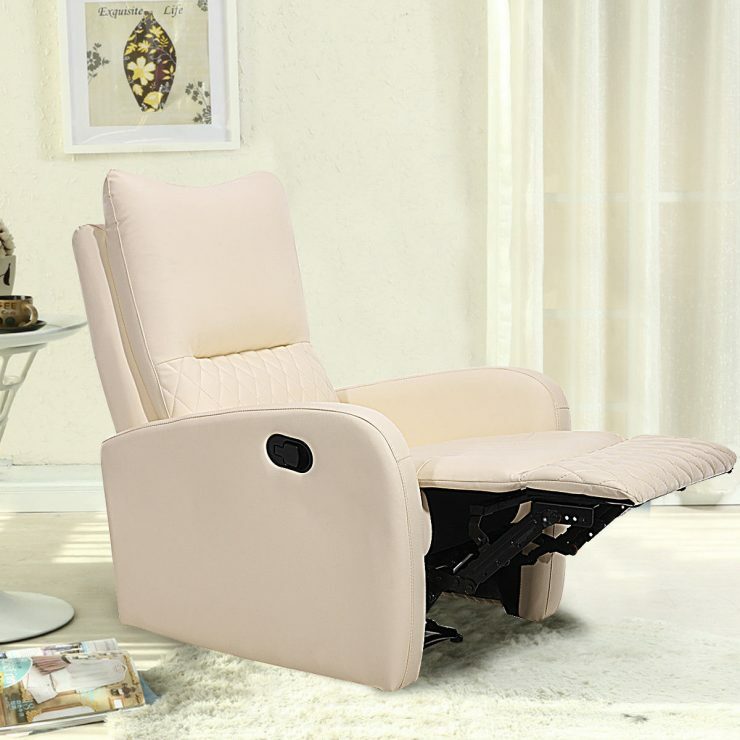 The lovely light beige cover makes this comfortable recliner a wonderful fit with airy rooms, and easily creates a dreamy, relaxed atmosphere when placed in your bed-room.